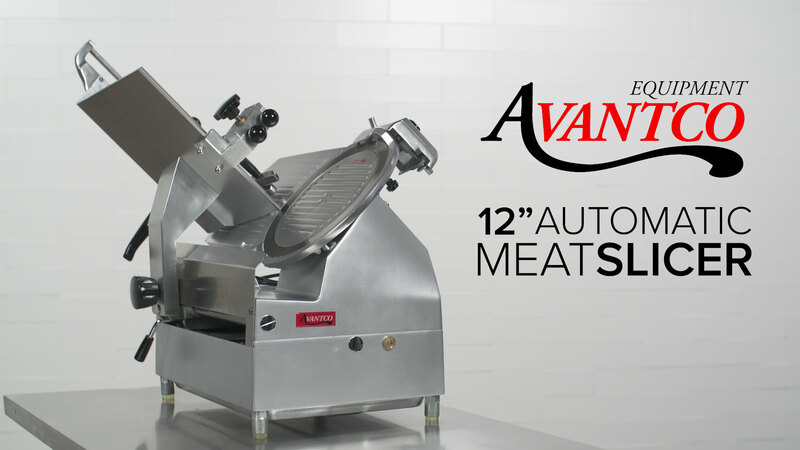 Slice your signature meats and cheese with precision and ease using this Avantco SL612A 12" medium-duty automatic meat slicer! 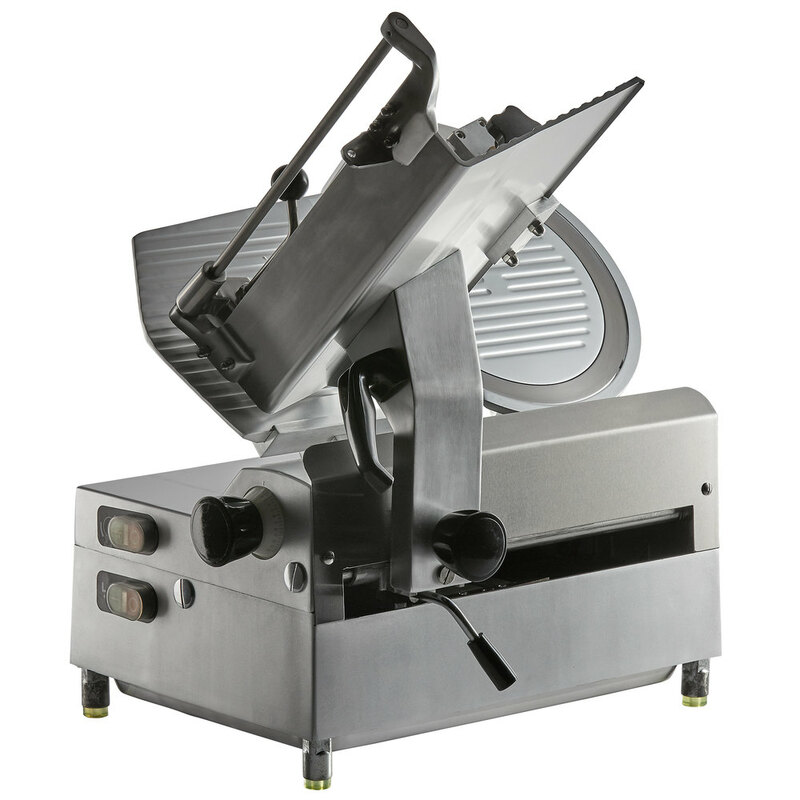 A great addition to your high-end deli, local butcher shop, or neighborhood market, this meat slicer is the perfect solution for your medium-duty slicing needs. Combining a powerful 1/2 hp motor with a razor sharp 12" stainless steel blade, this unit delivers superior precision while also helping to save on time and labor. 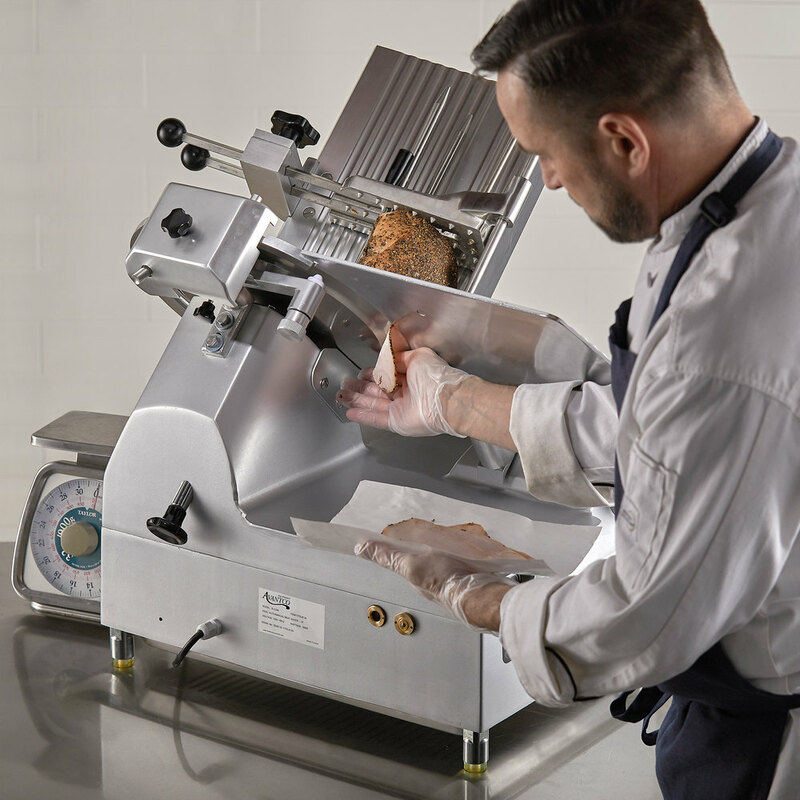 Its automatic mode produces 40 slices per minute to make quick work of your slicing tasks, while a simple knob allows you to easily switch to manual operation. This unit's carriage can handle foods up to 15 1/2" long by 10 1/2" wide, allowing you to slice anything from large hams to salami, and even occasional cheese! Thanks to its easy-to-use adjustment knob, this unit gives you complete control over your product's thickness, enabling you to produce uniform slices up to 9/16" thick. It also features a rear-mounted thickness stop that allows you to quickly set your desired thickness, helping to further boost your slicing efficiency. Plus, its adjustable horizontal clamps keep irregular shaped products securely in place to ensure consistent slices, thus resulting in less waste. Two separate on/off buttons control the blade and automatic mode to make this unit extremely user-friendly so even your newest employees won't have trouble using it! While some components of this slicer require periodic lubrication, an oil pump is included to make this maintenance easier than ever. 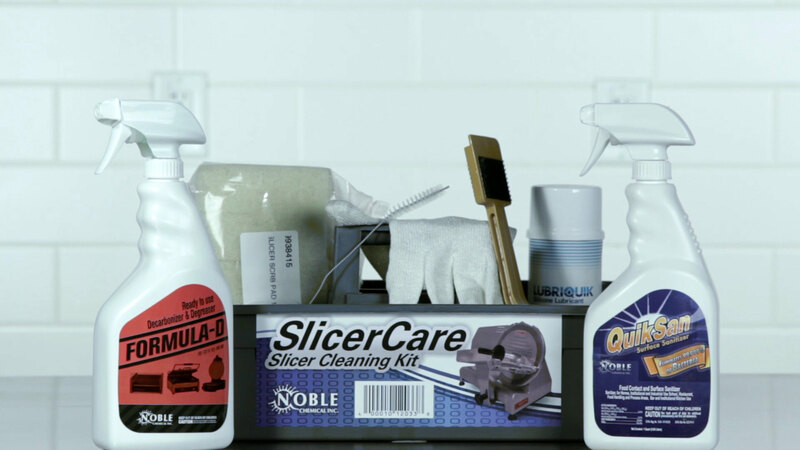 The slicer also features a removable, easy-to-clean sharpener to effectively keep the slicer's blade from dulling. For added safety, the slicer sits atop (4) 2" rubber feet to preventing slipping and sliding during use. A 120V electrical connection is required for operation.